Lambert & Rehbein has been selected for the Panel of Independent Certifiers for Health Infrastructure Projects by the Department of Health and Ageing. Selection involved rigorous checking of our company credentials and the qualifications and experience of our people. Independent Certifiers are responsible for Quarterly Certification reports on a project’s performance against financial, timeline, and safety standards, among others. 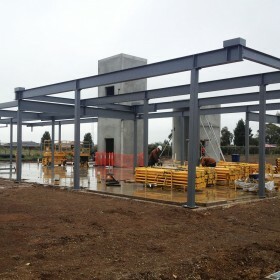 We are currently acting as Independent Certifier for a number of HHF projects, including those by Ballarat Community Health who are building a Primary Care Facility, and for Nexus Primary Healthcare who are building the Wallan GP Superclinic. The ten million dollar Wallan GP Superclinic will serve the growth communities to the North of Melbourne, which L&R is proud to be involved with.